Out with the old and in with the new. It is time to clean out those cabinets and throw any thing that is old or just sitting there. We have a new “Must-Haves” Aesthetician Facial Kit with the must have products every esthetician needs in their cabinet for facials. Here are the 3 treatments you can do with these products. This is the “Must Haves” for your treatment room. It is a kit of the items most used in a treatment room. All products are full size.. Treatments are very versatile and you are able to customize them for each person. Cucumber Gel & Mask 4oz. Under Eye Nourishing Cream 2oz. The following are 3 facial treatment protocols you can do with this full size kit. 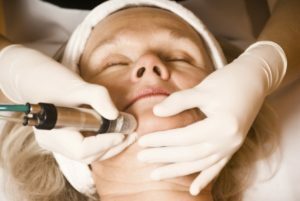 Here you can do Microdermabrasion, Dermaplaning, Skin Scrubber or any other machine or type of technique for exfoliation. Or you can just skip this step. Apply thin layer of Papaya & Pineapple Enzyme Mask. Use with Steamer or hot towel compress. Leave on for 5-10 minutes depending on skin type and rinse. A hydrating hand massage is nice while they steam. Apply a treatment Under Eye Nourishing Cream and here you can do a relaxing eye massage. Moisturize with appropriate moisturizer. Light Moisture Cream for Normal to Combination, Vitamin Rich Cream for Normal to Dry. Apply Clarifying Mask (can apply with steam or hot towel compress). Leave on for 5-10 minutes. Can do extractions here if needed. Apply the Under Eye Nourishing Cream and here you can do a relaxing eye massage. Apply Light Moisturizer for normal or combination skin. For Acne prone skin types leave a Clarifying Serum or the Lavender Gel Mask as a moisturizer. Just depends on the skin. To exfoliate the skin apply thin layer of Papaya & Pineapple Enzyme Mask. (Use with Steamer or hot towel compress. Can apply a couple of drops of Lavender Essential Oil in towels) Most sensitive skin types can tolerate a gentle enzyme but if it feels too tingly just rinse it off. If client has issues with redness omit the heat portion. Apply a Under Eye Nourishing Cream and here you can do a relaxing eye massage. Moisturize with an appropriate cream for their skin type. Light Moisture Cream for Normal to Combination, Vitamin Rich Cream for Normal to Dry. **Some states have restrictions on use of Microdermabrasion, Dermaplaning, Acids and other products or gadgets. These are just examples, make the decision of what is right your client. Adjust the facial protocol to your client’s skin type and sensitivity. Recommended protocols are designed to give you an idea of where to use products in your treatment room.